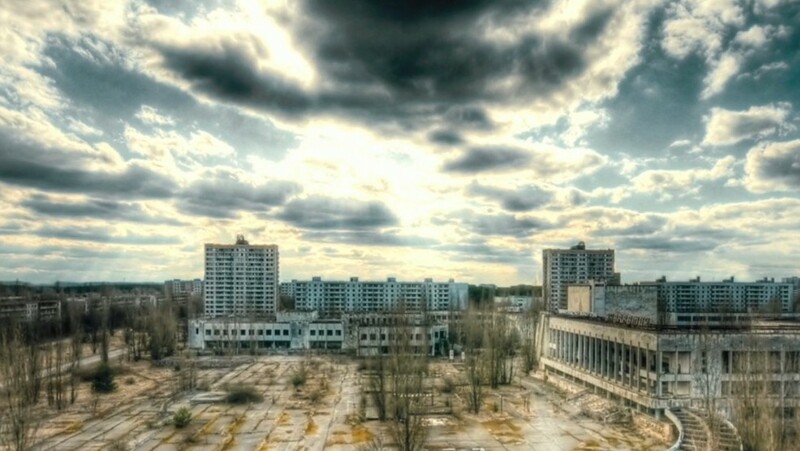 The ghostly, abandoned city of Pripyat is the setting for the new Oren Peli film Chernobyl Diaries. For those of us who were alive at the time, the word Chernobyl—which at its essence means wormwood, fitting for a place which poisoned itself for centuries to come—is scary all on its own. I was fifteen at the time of the accident, and stories of what happened to you when you were exposed to too much radiation were rendered in gory detail around the school cafeteria. After all, images from ABC’s graphic The Day After, which had aired only two and half years before, had branded our minds. An essay on the just-released Chernobyl Diaries, “Opening Chernobyl Diaries: the truth is scarier than the film,” is now over at the Dark Discussions Podcast Article Library at http://www.darkdiscussions.com/Pages/article_007.html. Posted on June 1, 2012, in Deep Thoughts & Fun Stuff and tagged abandoned amusement parks, abandoned cities, Chernobyl Diaries, Chernobyl Diaries Reviews, Chernobyl disaster 1986, Dark Discussions Podcast, horror movie podcasts. Bookmark the permalink. Leave a comment.